The lightweight and non-greasy formula emulsion quickly absorbed into your skin, leaving your skin dewy and soft. The emulsion provides deep nourishment and restores hydration back to your skin while smooths out fine lines for a smoother appearing complexion. 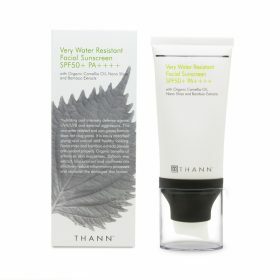 Nano Shiso Extractprovides the benefits of antioxidant, moisturizer and antihistamine, revealing a younger-looking complexion. Myrothamnus Extract, known as “Resurrection Plant” in Africa, is a very potent antioxidant, restores and strengthens your skin condition and restores long-lasting hydration and moisture lock up to 48 hours. Organic Inca Inchi Seed Oilis rich in Omega 3, 6, 9, helps protect your skin from UV rays and irritations that might occur from sun exposure. Algin Extractinstantly hydrates and conditions your skin.